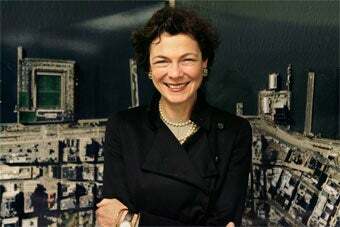 To the Times, Diana Taylor is Mayor Bloomberg's "companion" or "sidekick" but never his "girlfriend." Is the paper being old-fashioned, or are girlfriends and boyfriends just for kids? The Times's Michael Barbaro calls Taylor, 55, "the companion of Mayor Michael R. Bloomberg" and "a glamorous sidekick" (is she Batgirl)? Barbaro's prose is especially hifalutin all around — he also refers to Bloomberg entering "the twilight of his mayoralty," which sounds like a Merchant Ivory movie. But in fact, eschewing "girlfriend" is house style — in the New York Times Manual of Style and Usage, the entry for "girlfriend, boyfriend" reads, "The terms are informal and best reserved for teenagers." Wonkette's Josh Fruhlinger is unimpressed, writing of Taylor, "Despite Bloomberg being quoted as calling her his girlfriend in the story, the Times will only snootily call her his 'companion,' as if they were gay men in the '70s." But does the Times, however snooty, have a point? People over 50, especially those dating again after divorce, have long complained that "boyfriend" and "girlfriend" are infantilizing — and perhaps those of us between 18 and 50 should think about this too. Though I sometimes catch myself referring to adult men as "boys," I've been trying to quit it — in part because calling grown women "girls" has anti-feminist implications, but also because I find that calling people childish names can lead to underestimating them. And indeed, a common complaint about "boyfriend" and "girlfriend" is that they seem unserious, attaching to often very loving relationships a name that can sound flippant, cutesy, or adolescent. Of course — another long-bemoaned point — the alternatives aren't awesome. "Significant other" is kind of awkward, and probably retains its popularity only for its usefulness as a gender-neutral term for party invitations (does anybody unironically introduce anyone as "my significant other"?). "Manfriend" is just silly, and its counterpart "ladyfriend" makes you sound like Ron Burgundy or the Dude. "Womanfriend" sounds bizarre, which may say something about our culture's preference for diminutive terms for women (even women uncomfortable with the term "boyfriend" will often refer to their "girlfriends"). "Partner" is pretty good, but it definitely connotes seriousness, probably because of its use as an alternative to "husband" or "wife" by people who can't legally marry. Of course, that may be exactly what those dissatisfied with "boyfriend" and "girlfriend" are looking for — something that honors the seriousness of their relationship outside the somewhat restrictive (and heteronormative) structure of dating-to-marriage-to-baby-in-the-baby-carriage. For plenty of others, as Fruhlinger points out, "girlfriend" and "boyfriend" are fine — if it worked in high school, why change it (unless you're the Gores)? But in all this linguistic confusion, one thing's for sure — nobody wants to be a "sidekick."